May this be a very healthy and blessed year for all of us! 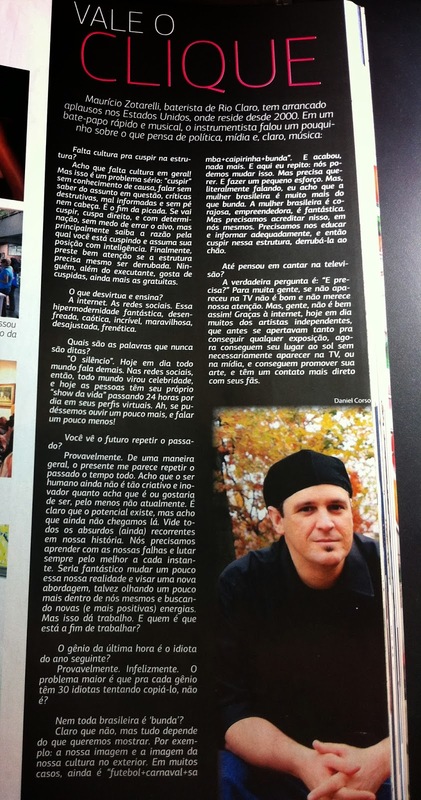 To start this new year, here is a cool interview I did for the JC Magazine - from my hometown of Rio Claro, SP. Thanks to Vivian Guilherme and all my friends at Jornal Cidade for the constant support and friendship. It's in portuguese, guys, so I hope some of you can read and enjoy it. Cheers!